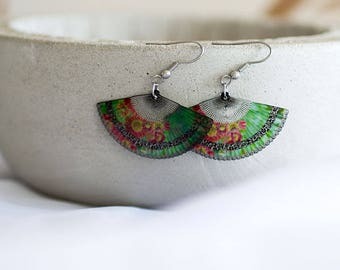 Sterling silver dangle fan earrings. Gift for her. MADE TO ORDER. Vintage, Large, 5ft spread, Jade and Gold, Asian Fan. 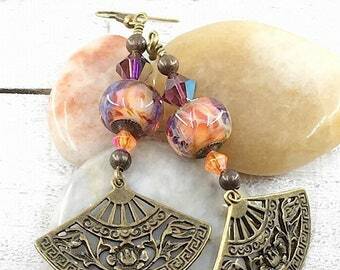 Pink Fan Dangle Earrings, Handmade Lampwork Beads, Boho Earrings, Swarovski Crystal Medium Dangle Earrings, Beautiful Dangle Fan Earrings. 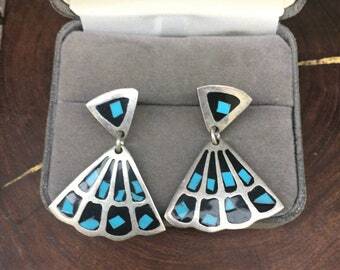 Vintage turquoise blue dangle fan earrings. 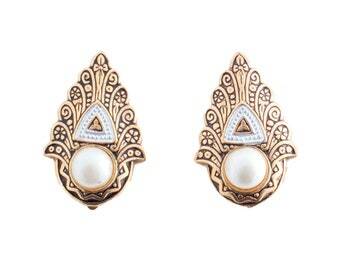 Gold scallop fan blue earrings. 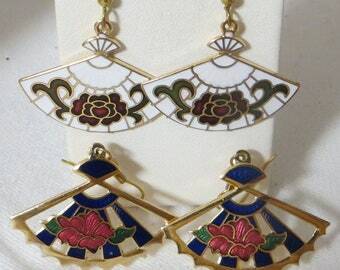 1970's gold fan earrings. Blue fan gold tone shell fan earrings. 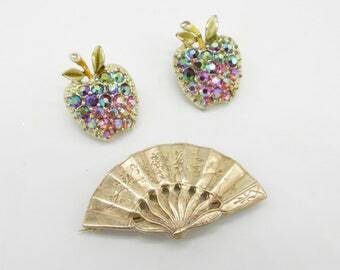 Vintage Mid- Century Asian Fan Pin and Two Matching Aurora Borealis Apple Pins !! !